Entrepreneur, business coach, and author Natalie Eckdahl relies on mindset management–and the support of an intentionally assembled team–to accomplish what matters most to her. You may remember Natalie Eckdahl from her appearance as the guest host in Episode 100 when she interviewed me. Natalie is first and foremost a wife and a mom to kids ranging from age 4 to 16. She has put her MBA to good use as an entrepreneur and a business coach, which is how I met her. She helps other women grow and scale their businesses while maintaining profit and avoiding overwhelm. Natalie is the host of the popular BizChix Podcast and a sister podcast called Stacking Your Team, which is run by one of her team members, Shelli Warren. She also hosts an annual leadership conference for women entrepreneurs. Natalie is the author of ‘Reset your Mindset‘. Natalie is usually awake before 6 am. Before her two young sons wake up, she tries to get certain things done, the most important of which is to enjoy a cup of coffee, which helps her to feel centered. She may also read a little bit or check on her business Facebook group. She enjoys using the Five-Minute Journal because it takes only five minutes at the beginning and end of each day, and it helps her to set an intention for the day. At 6 am, her boys are up and the chaos ensues for the day. Because she is the morning person and her husband is a night owl, Natalie is responsible for the morning activities with the kids, such as getting ready for school and feeding them. Around 8 am, after the kids leave for school, Natalie starts to get ready for her day. She has calls with clients, records podcasts on her own show or is a guest on others. She tries to block her days, combining like activities such as creating content and working with clients. Her work days will generally go on until 4 pm, at which point she goes back into mom mode and plugs back into her family. She spends her evenings with her family eating and wrangling her two high-spirited boys into bed. When it comes to batching work, Natalie begins by choosing her word of the year and focuses for her months and weeks. Starting January, she is using a calendar template pre-populated with meetings and events, and then themes the focus work for the coming weeks. She prefers that a day is dedicated to only content creation or only client work, but she admits this is an ideal situation and it doesn't always work out that way. Like all of us, life sometimes throws curveballs at Natalie, such as sick children. In the past she would take the responsibility of caring for the children, but now that her husband is working in the business as well, they have more flexibility and he has taken on the primary parent role. In terms of handling distractions that can happen in the day, Natalie has intentionally created a life for herself where she is doing the work she loves, and when she's not doing that, she's spending time with her family or on self-care. She does not love housekeeping, so she's hired a “fairy godmother” who comes into their home while she is working and does the dishes and laundry and tidies up. When asked whether she struggled with the idea of getting help to take care of her home, Natalie said “Not really.” She doesn't feel guilty for outsourcing housework. She believes you should have as much help as you can afford. She attributes this to how her mother modeled this mindset when she was growing up. Her mother was a teacher who didn't want to spend all day Saturday cleaning house, so she budgeted to have cleaning help at home. This was possible on a middle-class income because her parents made it a priority, so they economized in other ways. Natalie notes that the struggle many of us have with getting help often stems from a fear of being judged. She says she's learned over time to focus on the opinions of the people she cares about as opposed to those of neighbors she doesn't really know. She doesn't need other people's permission to do what she wants to do, but rather needs to do what is right for herself and her family. Natalie has a lot of ideas. She constantly has ideas for new businesses, new podcasts, new things to do around the house, new activities, etc., and this is something she has to manage. The Kolbe A Index has helped her immensely in understanding herself and her clients in this regard. The Kolbe Assessment is a test that explains how someone originates with a project or idea and will assess whether you are high or low in four categories: Fact Finder, Follow Thru, Quick Start, and Implementor. Natalie was assessed as a “High Quick Start” and “Low Factfinder” and “Low Follow-thru.” She is the type who doesn't ask enough questions before making a decision, or starts projects easily but struggles to finish them. So when she has projects she wants to finish, she's learned to hire someone to finish them or to hold her accountable. For example, she has recently written a book, but because she knows that she is the type who has a hundred ideas for a book but will never actually finish writing one, she hired a writing coach and ghostwriter who wrote the book with Natalie, listened to podcast episodes and turned them into chapters, and dangled a carrot in front of her when her motivation was waning. So Natalie overcomes her productivity challenge of having too many ideas and low follow-thru by being aware of her strengths and weaknesses and delegating and outsourcing the tasks that need to be finished. In Natalie's new book, Reset Your Mindset, she talks about the mindset issues that women deal with in pursuing their goals. According to Natalie, mindset is generally frustrating because it isn't something you conquer, and productive people are used to finding something to improve on, conquering it, and moving on to the next challenge. So she wanted to write a book that normalizes this process by sharing the story of several women dealing with their own mindset issues. Can we be too polite? In one of Natalie's newsletters last year, she talked about the question of whether it’s possible, especially for us as women, to be too polite in business, so I asked her to elaborate on that. Natalie says she was raised to be polite and to not shine the light on her own successes, but rather to have other people shine the light on her. But she learned early on in the business world that if she didn't share her own accomplishments, no one else was going to, and that she was going to have to make some adjustments to and figure out how to interact, excel, and shine in a primarily male-dominated world that she started working in as a management consultant. Often she was the only female on the team, and she had to find a way to authentically share the great things that were happening in her work. She realized that there were other women who had heard similar messages growing up, and that, at some point, we need to make a shift in the messaging we grew up with. Do we agree with them? Are they working for us now? She comes from a place knowing her parents did their absolute best in raising her, but still created some messaging that has stayed with her that may need some adjusting. She encourages us that it's okay to be respectful of the work our parents did in our lives, but also make changes and adjustments. Natalie uses a simple tool recommended by a guest on her podcast — a small sticky note on which she writes three things she wants to accomplish for the day and then sticks onto her phone. Like most of us, Natalie looks at her mobile phones many times each day, so having that sticky note on the phone means each time she picks up her phone she sees her three priority tasks for the day, a reminder to work on one of them instead of popping on Instagram. She also tries to accomplish one of those things as early in the day as possible. The other benefit of the sticky-note approach is it forces her to set realistic expectations for the day. Like many of us, her to-do lists can easily contain 10 to 20 tasks. Even though crossing that many items off a list isn't realistically possible, she feels “less than” when she isn't able to finish all of them. (Sound familiar?) But she can accomplish three things most days. Natalie includes self-care items on that 3-item list, such as go to a pilates class or go for a swim. She reminds us that we are better off focusing on fewer things and we can't get as many things done as we want. Usually this happens when something emotional has happened involving someone she cares about such as a family member or a client that gets her to feel overwhelmed and like she is unable to do the things she needs to. She can also get overwhelmed by the stress of running a business because she has a team of people she supports financially, and she can reach that scarcity feeling of “It's all going to go away,” which can lead to overwhelm. When these things happen, she allows herself the space to be emotional–to cry for a while–but she doesn't allow it to go on the entire day. She tries to take a bath, which is comforting for her, or go for a walk. When the issue at hand involves money, she asks herself, “what money can I let go of?” When she's feeling financially insecure and feels the urge to hoard the money, she actually does the opposite and tries to release it by looking for an invoice to pay or thinking about whether there is someone she owes money to. Interestingly, every time she does this, money comes back to her. She asks for support when she needs it. Her husband is wonderfully supportive and calm, so talking to him or getting a hug from him is helpful. If she feels some fears around her own success, she will try to find something to help someone else. For example, when she was in a bad spot one day, she asked herself what she could do to help someone else. She decided that she could leave reviews on some podcasts that she enjoys but hadn't left reviews on instead of wallowing in her self-pity, and she actually felt better and was able to move onto the next thing in her day. What’s on the horizon for Natalie? Natalie's clients are women business owners whose profits range from the five-figure level to the seven-figure levels, but it is common for women to spend a lot on their business but not focus on their numbers and what's coming back into their families to create profit and wealth for them. So she is looking forward to not only helping women grow their businesses but also to increase their profits and understand the numbers that are happening in their businesses so they can keep money flowing back into their families. She also looks forward to really enjoying her team. She started her business with her husband, who edited her podcasts, and a part-time virtual assistant in the Philippines, but she has grown to have an executive-level employee as well as an executive assistant on her team, some contractors who assist the business, and some help at home. With the support she now has, she's able to deliver high-quality coaching and masterminds to her clients as well as grow the podcast, and to serve clients through her annual live leadership conference. It's important to know what you are trying to create for yourself, to start with your why. The beginning of this new year is a great time to reflect. Ask yourself, “Do I want this year to be the same as last year?” Maybe you do because last year was perfect, but most of us want this year to be better. So what do you want to have happened and what do you want to feel at the end of 2019? And what do you not want to have happened and not want to feel at the end of the year? If you start with that intention in mind, it will inform the rest of the year and the decisions you make. Don't go through the motions again, Natalie encourages us. Let's make this year better, even if just a tiny bit. If you feel like you don't have much control over your situation, how does that change this year? What adjustments can you make to still make this year one of the best years it can be for you? Be intentional. If you haven't had a chance to think about it because you rushed through the holidays, take half a day. Ask for support. It's okay to ask for help so you can launch yourself and make this year the best year yet. Any questions for Natalie or me, or comments on the topics we discussed? Please share them in the comments section below this post or in The Productive Woman Community Facebook group, or send me an email. 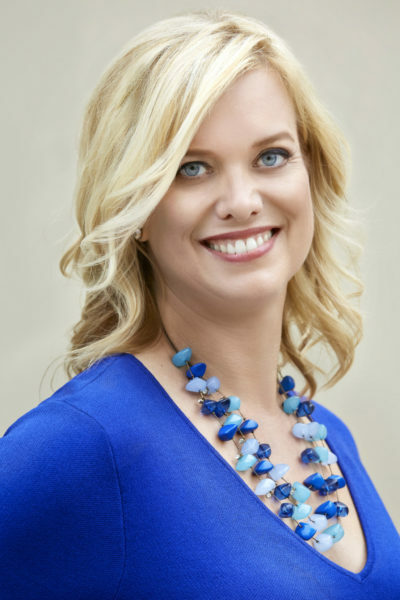 Natalie Eckdahl is a Business Strategist and High Performance Coach who helps high-achieving women entrepreneurs across industries and time zones build, grow and scale their business while avoiding overwhelm. She’s the Founder of the BizChix Community, Podcast, Programs and Events, and the author of “RESET Your Mindset: Silence Your Inner Mean Girl.” Natalie has been recognized as “One of the Top Women in Business to Listen to.” She has also been featured in Inc, Fast Company, Huffington Post and Entrepreneur. Natalie brings a multidisciplinary perspective to her work. She draws from her MBA education, 20+ years of work experience, deep intuition, and over 250 podcast interviews with industry influencers to help her clients with customized strategy and coaching to reach 6 figures+ in PROFITS. When she’s not enjoying precious moments with her husband, Mark and her 3 children ages 4 to 16, you can find her drinking a steaming cup of coffee, on her way to spin class or sneaking in a power nap. Visit BizChix.com for her latest podcasts and inspiration on life and business. If one of your goals this year is to read more, check out Blinkist and their special offer for The Productive Woman listeners. Visit Blinkist.com/TPW to start your free 7-day trial.